The apparent longevity boost was seen with instant, ground and decaffeinated, results that echo U.S. research. It’s the first large study to suggest a benefit even in people with genetic glitches affecting how their bodies use caffeine. The results don’t prove your coffee pot is a fountain of youth nor are they a reason for abstainers to start drinking coffee, said Alice Lichtenstein, a Tufts University nutrition expert who was not involved in the research. But she said the results reinforce previous research and add additional reassurance for coffee drinkers. “It’s hard to believe that something we enjoy so much could be good for us. Or at least not be bad,” Lichtenstein said. The study was published July 2 in the journal JAMA Internal Medicine. It’s not clear exactly how drinking coffee might affect longevity. Lead author Erikka Loftfield, a researcher at the U.S. National Cancer Institute, said coffee contains more than 1,000 chemical compounds including antioxidants, which help protect cells from damage. 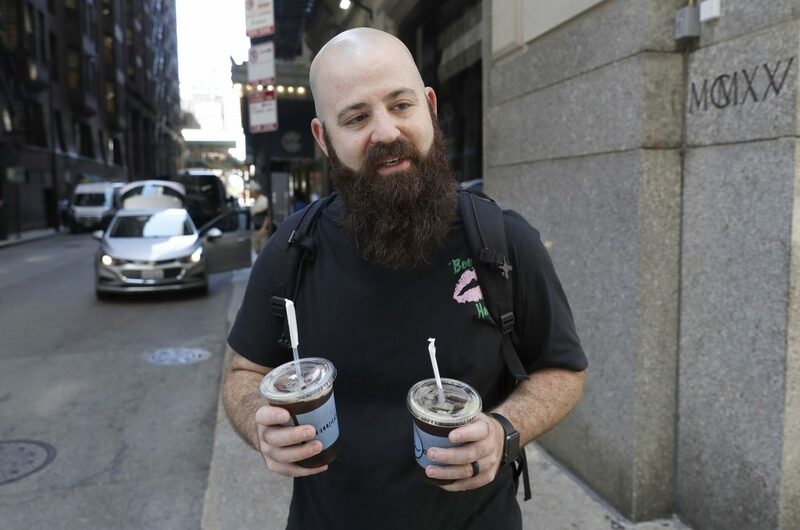 Adam Taylor, fetching two iced coffees for friends in downtown Chicago, said the study results make sense. “Coffee makes you happy, it gives you something to look forward to in the morning,” said Taylor, a sound engineer from Las Vegas. But coffee drinkers in the U.K. study didn’t have higher risks than nondrinkers of dying from heart disease and other blood pressure-related causes. And when all causes of death were combined, even slow caffeine metabolizers had a longevity boost. The research didn’t include whether participants drank coffee black or with cream and sugar. But Lichtenstein said loading coffee with extra fat and calories isn’t healthy. It sounds like a total load of BS–like one of the sloppiest-seeming “medical studies” I’ve heard about. I enjoy coffee sometimes, but i always doll it up with lots of milk and sugar. Really not a fan of it otherwise. Is that your Mormon opinion Prophet ? Published, peer reviewed studies in both the UK and US, getting the same result. But if it sounds wrong to you, we can all just disregard. I didnt need permission to drink my coffee daily, or all day lol ,but thank you! I’m putting cream in it tho! We’ve been having this argument since I was in grade school and I’m pretty old. Imagine me with my hands covering my ears, humming loudly. In other words, I’m not listening anymore. I’ve been drinking coffee for 45 years. Two giant mugs every morning, black, sometimes with creamer. I remember all the “laboratory tests” of the 70’s-80’s trying to find something, ANYTHING wrong with coffee. And, It’s just not there folks. Even caffeine’s not bad. So enjoy !